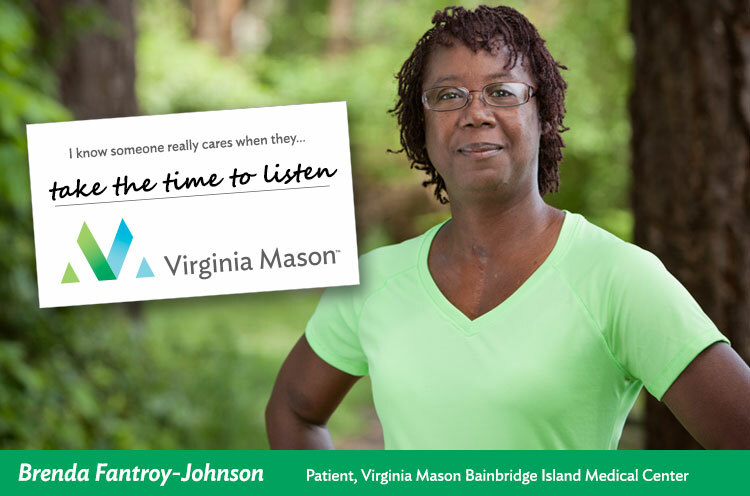 This feature is part of our “Virginia Listens” story series, which explores how our health care providers and patients are engaging in real conversations and individual connections that drive better care. This story comes from the tight-knit community of Bainbridge Island, where Brenda Fantroy-Johnson was kind enough to open up about what it means to her when providers truly listen. When Brenda Fantroy-Johnson first came to Virginia Mason in 2007, she was at her wit’s end. At Virginia Mason, Brenda quickly found what she’d been missing: someone to listen. Personal recommendations from yoga classmates led the now-56-year-old Bainbridge Island resident to Viola Medina, a nurse practitioner at Virginia Mason Bainbridge Island Medical Center. By asking Brenda why the pills weren’t working for her, and really listening, Viola discovered that Brenda had trouble remembering to take a daily pill. Menopause caused her to have trouble remembering if she had taken her pill. She could never quite gain traction to feel better. Viola prescribed a patch that did not have to be taken everyday, and Brenda felt better than she had in years. 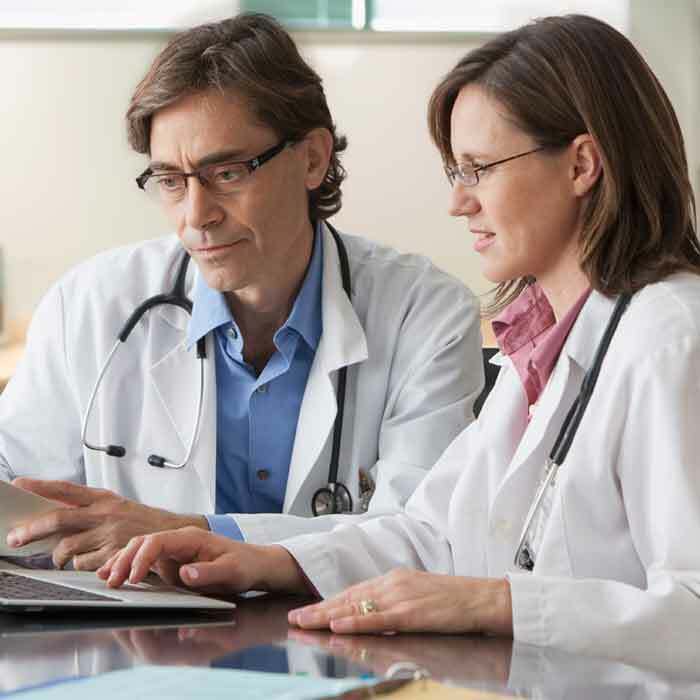 The deceptively simple act of staying focused on the details of the information the patient was sharing and connecting with the patterns of her life made all the difference in finding the answer. This positive breakthrough helped Brenda achieve a level of trust she’d never had with a health care provider. Knowing that she’ll truly be heard, Brenda has become more proactive and invested in her preventive care. Along the way she’s gained an adventurous new lifestyle that’s literally led her to the top of the world: Mt. Everest. The Everest trek all started with Brenda’s desire to lose weight and keep up on hikes with her husband. Again, she turned to Viola: “Viola is in such good shape, so I asked about her exercise routine. It inspired me to get involved in something physical,” said Brenda. Brenda joined a gym, dropped 30 pounds, and enrolled in a “train to climb” program. Before long she found herself climbing Mount Rainier and planning a 22-day hiking trip to Mount Everest’s base camp. When she mentioned the trip to Viola, she referred Brenda to a travel nurse at Virginia Mason Bainbridge Island Medical Center. Over a series of visits, the nurse not only administered vaccinations, but also educated Brenda about altitude sickness and local health considerations in Nepal. When she returned home, Brenda checked in with Viola, both to report on her post-hike health and to share pictures from her trip. “I’ve come to think of Viola as a friend, not just my primary care doctor. This is the first time I’ve ever had a relationship like that with a doctor, where I have someone who really knows me and can coordinate all my care for whatever I might need.